These wonderful cookies are full of molasses flavor, superbly soft and chewy, and have a delightful little crunch on the outside. They are spiced with warm notes of ginger and cinnamon, and go perfectly with a tall glass of milk. I can’t believe Christmas is less than a week away! I didn’t get nearly as much baking done as I wanted to this year. December is just too short of a month for me. I think next year I need to start my Christmas baking in November, but the challenge with that is I’m not quite in the festive mode yet in November – I’m still in fall mode. Oh well, I’ll figure it out. In the meantime, I’m going to try to savor what’s left of 2017. 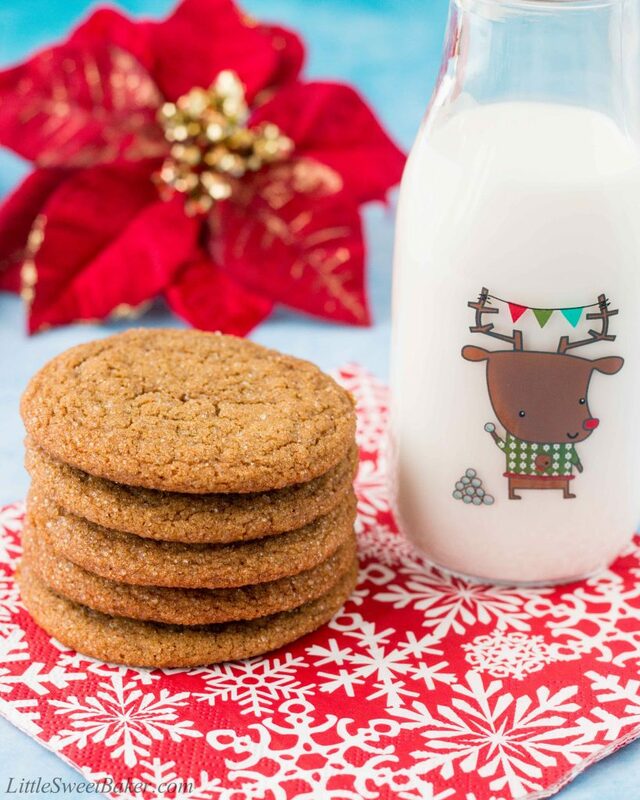 Now, let’s talk molasses cookies. Do you warm up from the inside out when eating a delicious molasses cookie like I do? I think that’s why I love them so much. The bold-sweet taste of the molasses with all the fragrant spices not only tastes good in my mouth, but it warms me up inside. 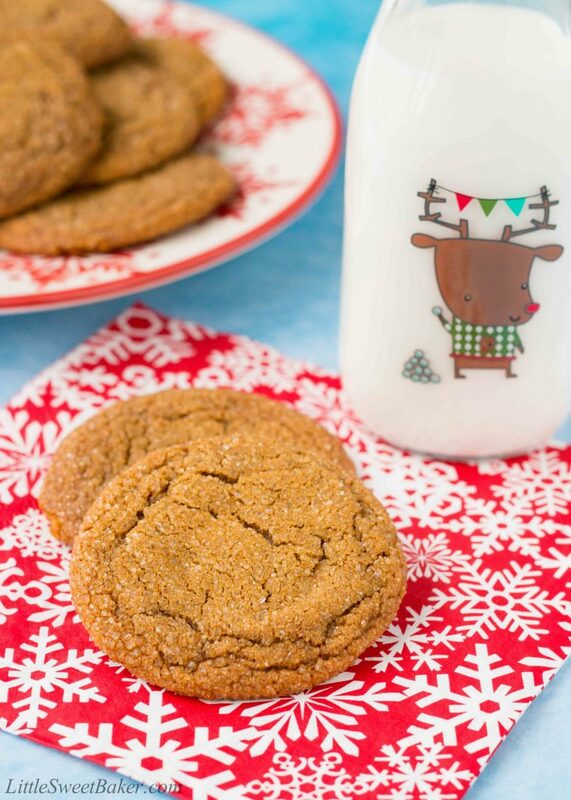 I just love, love, love enjoying a soft and chewy molasses cookie during the cold weather. 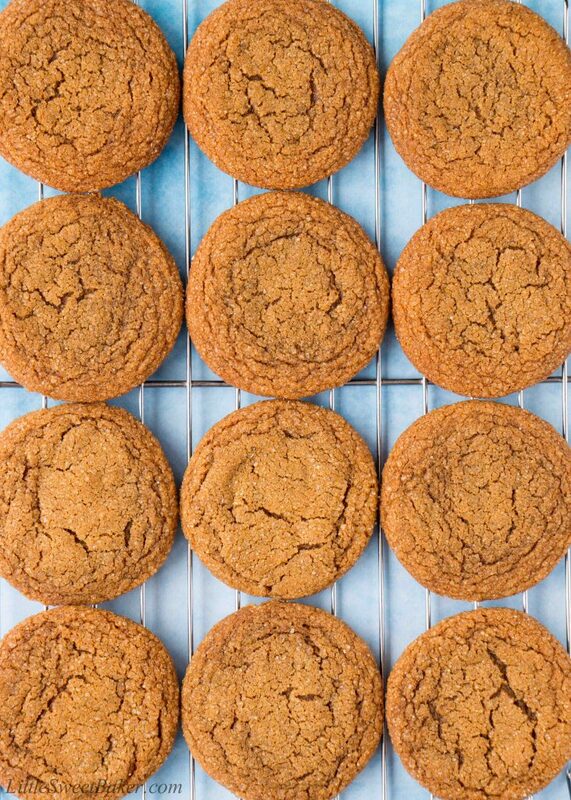 My favorite molasses cookie recipe is from Bon Appetit. 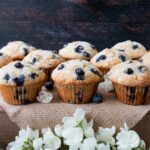 The recipe is simple and it’s all made by hand just like the old gals used to do. They are super soft and chewy like Starbucks’ ginger molasses cookies. They are not overly spiced which lets the flavor of the molasses shine through. They are made with butter instead of shortening for more flavor, and they have a nice crunch to them from rolling them in raw sugar. The key to this recipe is not to overbake. I made that mistake the first time and ended up with puffy and cakey cookies that were not chewy. As soon as you see the cookies start to crack on top, take them out of the oven, and let them cool on the baking sheet. The best part about these cookies is that they stay soft and chewy for days. 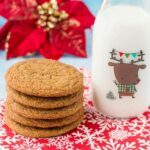 So warm up to a plate of these incredible soft and chewy molasses cookies, relax, and enjoy the rest of this holiday season. These wonderful cookies are full of molasses flavor, superbly soft and chewy, and have a delightful little crunch on the outside. Preheat to 375F. Line two baking sheets with parchment paper. In a large bowl, whisk together the butter, granulated sugar, brown sugar, egg and molasses. Stir in the dry ingredients until just combined. Place sanding sugar in a shallow bowl. Scoop out dough by the tablespoonful and roll into balls (if dough is sticky, chill for 20 minutes). Roll in sugar and place on prepared baking sheets, spacing 2” apart. Bake for 7-8 minutes or until the cookies are puffed and start to crack on the top surface. Mine took exactly 7 1/2 minutes. Be careful not to overbake or cookies won’t be chewy. Let cool on baking sheet. I love how soft and chewy these cookies are! 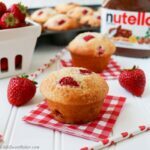 They bake up perfect every time and one of my favs!